Enter NetSuite - the new admiral of BPaaS? Hot on the heels of its recent alliance annoucement with Genpact, we caught up with NetSuite CEO Zach Nelson to get his take on Business Process Outsourcing delivery, and how he intends to leverage that channel to oust incumbent ERP platforms from midmarket businesses with his Cloud Computing business management software suite. Phil Fersht: Good morning Zach. Let's get straight to the point here...Fill us in on your alliance with Genpact. Zach Nelson: The real starting point of our relationship revolves around enabling Genpact to take NetSuite and customize it to provide a platform for clients’ financial business processes around procurement and some of the other core processes Genpact is really proficient at. Our target market is upper mid-market companies, or divisions of large enterprises, which are legacy version-locked on ERP platforms such as SAP or PeopleSoft. And I believe that’s how we came together with Genpact. I think Genpact realized the inefficiencies of the traditional BPO model for the mid-market, and had a vision to change the market and the delivery model with a rich, cloud-based enterprise management platform on which other applications can be built. Phil Fersht: Which of you will lead discussions with prospects? You with an outsourcing-interested client, or Genpact with a client it feels may benefit from the NetSuite platform? Zach Nelson: Due to our joint target market, Genpact will be pulling us in, more than we will be pulling it in. While our companies have some overlap in the mid-market, Genpact will have more opportunities to court organizations that want to outsource their business processes. NetSuite, as a separate provider, will continue to secure opportunities from companies that want to deliver their services in-house. Phil Fersht: One of my philosophies in BPO is that if you are focused purely on running processes at lower-cost labor, another provider will always come along and do it cheaper, and yet another cheaper, and you ultimately get down to the lowest cost denominator. We’ve seen it with some service providers offering SAP BPO services, for example, where they were simply processing invoices and paychecks at lower prices than their competitors. My stance has been if you can build some underlying software IP into your service delivery, that’s going to give you a whole new level of value capability. So, Genpact pushing NetSuite sounds great to me on paper, but my concern is what happens if you get every Genpact competitor doing the same? Is Genpact protected with any form of exclusivity in this alliance, or will you work with any provider that comes along? Zach Nelson: Genpact has a “natural” exclusive in that I don’t think most BPO providers actually want to change their business model to give their clients a more efficient and cost-effective cloud-based solution. They want to stay on the SAP gravy train and keep harvesting that revenue. But again, I think Genpact has a different vision and strategy which will be able to deliver three-fold client value from NetSuite…cost reduction due to cloud-based delivery, the ability to embed existing IT software into the NetSuite SuiteCloud platform, and multi-country consolidations that can be achieved in as little as three months. Phil Fersht: How will licensing of your software work? Zach Nelson: Customers will have a single contractual touch point with Genpact. Genpact will in effect pay us for the NetSuite application and build it into the service it provides to the customer. Our initial implementations will likely be jointly managed to ensure successful knowledge transfer. But since Genpact is an extremely high quality organization, NetSuite will very quickly become part of its packaged offer. Phil Fersht: How many client engagements are currently in discussion or underway with this partnership at this point, and what sort of energy are you sensing with the alliance? Zach Nelson: Today, at the beginning of our alliance, we have about 10 active, big, opportunities. And of course we have to get the first ones under our belt and successfully service them. We’re seeing a lot of energy on Genpact’s side. It’s seeing great opportunity in the cloud/BPO-marriage space, and is betting on us to get them there. A great thing you’re going to see, and we’ve seen it in the mid-market VAR channel, is the companies who bet on this early have a huge competitive advantage over those who join in later. There is no stopping SaaS as the future of the way all applications will be delivered, including outsourced applications. The faster you engage, the sooner you’ll gain an insurmountable competitive advantage. Phil Fersht: When you look down the road at your own go-to-market strategy, are you hoping the outsourcing services channel will be your next big outlet, or do you still think it will be primarily through direct sales, and this alliance with Genpact is just a little incremental play? Zach Nelson: NetSuite has always believed the channel would be important to deliver our application’s value to the customer. When we started the company we created a program that enabled service providers of all types to deliver NetSuite as we felt strongly about giving others the ability to gain from recurring revenue. That said, the services channel has historically been reticent to fundamentally transform how they run their businesses. The direct channel is something we had to build early on because the channel was not very excited about SaaS, but we have always had in place a rich series of partner programs, and we’re very flexible in terms of how we deal with partners. Genpact is a one-off relationship in which we felt we could both alter how we market to our mutual advantage, and that of our shared customers. In the second part of this interview, Zach will discuss how this new BPaaS model will be a game change in the industry. Stay tuned. Zach Nelson (pictured above) is President and Chief Executive Officer for NetSuite with more than 20 years of leadership experience in the high-tech industry, where he has held a variety of executive positions with leading companies such as Oracle, Sun Microsystems, and McAfee/Network Associates. Zach has been CEO of NetSuite since 2002. 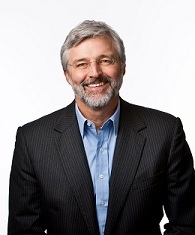 One of top 10 visionary CEOs in the Silicon Valley, he led NetSuite's successful IPO in 2007. Looking forward to the second interview. Its very clear by now that BPaaS OR 'IT/BPO Bundled service' whatever you wanna call it is the future. Marriage of "automation" and "outsourcing" gives both the customer and the service provider a big competitive edge and a perfect win-win situation. BPO and IT providers like Genpact and Netsuite who've realized it early and merge their offerings inline with the business needs are going to be the CLEAR winners. HP now after having settled down with their EDS acquisition (now HP Enterprise Services) might be planning to build more of similar platforms and business models soon - same with Dell/Perot. SAP and other ERPs look out - the mid-market you want so badly is heading towards a more logical direction.